Your resource for all things shoegaze and dream pop: New Video: Sugar Candy Mountain || Windows. 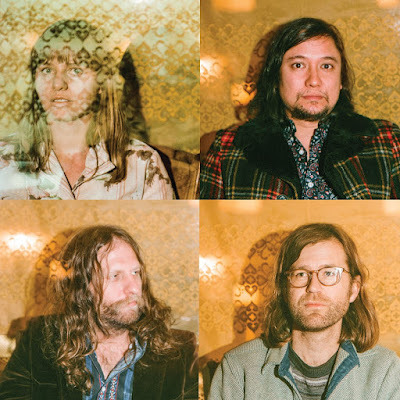 One of our happiest recent discoveries is Oakland, California’s Sugar Candy Mountain. This, the project's latest video, is for "Windows”, a track from the quartet’s recently released and fully enchanting third full-length, 666. Fans of Broadcast, Stereolab, Melody’s Echo Chamber, The Soundcarriers, and The Free Design, take note. Or, as the project’s Facebook page elucidates, “If Brian Wilson had dropped acid on the beach in Brazil”—and who’s to say he didn’t—“and decided to record an album with Os Mutantes and The Flaming Lips, it would sound like this.” The second album, 2013’s Mystic Hits, is also highly recommended. We haven’t yet heard their self-titled debut, but on the strength of the other two long-players we’re eagerly awaiting the cassette’s arrival in the mail. For proof that this band totally brings it live, look here.